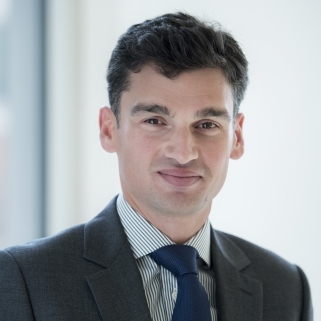 Michael Benyaya, DCM solutions, Crédit Agricole CIB, highlights key factors for insurers considering whether RT1 issuance is appropriate, as well as rating agency approaches to the instrument and differences to bank Additional Tier 1. 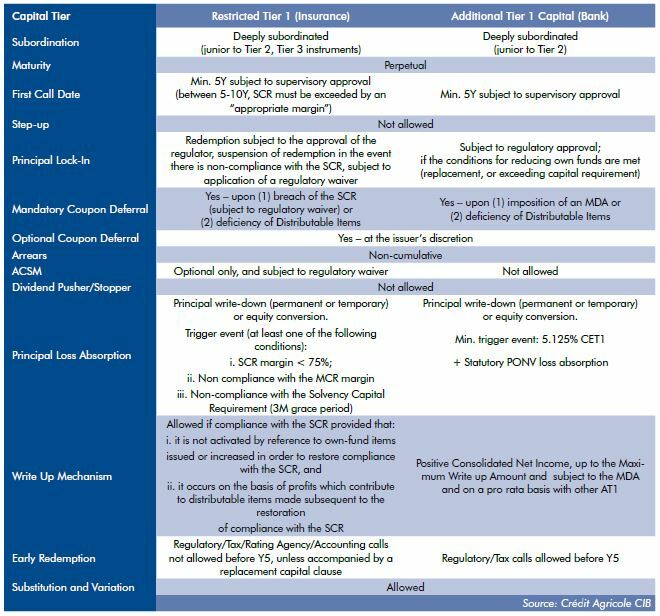 Managing the tiering limits: In the Solvency 2 capital structure, RT1 is eligible up to 20% of total Tier 1 capital, whereas Tier 2 is limited to 35% or 50% of the SCR depending on the presence of DTAs (which are eligible up to 15% of the SCR). The Tier 2 instrument is seen as the most efficient for raising capital quickly. Hence keeping meaningful Tier 2 headroom is critical from a capital management perspective. Maintaining financial flexibility is equally important for other stakeholders, e.g. rating agencies and investors. In addition, some insurance companies may not be able to refinance all their existing subordinated debt (Tier 2 and grandfathered Tier 1) with Tier 2 only. For the sake of keeping a balanced capital structure, RT1 will be needed to refinance grandfathered T1 instruments. Recovery plans: Recovery plans are usually built on risk reduction management actions and hence a reduction of SCR (which means in turn lower Tier 2 and Tier 3 capacity) and the use of RT1 would reduce the risk of a haircut because of the lower size of the Tier 2/Tier 3 buckets post-recovery. Increasing the quality of capital: For some insurers who rely heavily on transitional measures, VA, MA or show a strong variation in reconciliation reserves, RT1 could be used to increase the perceived quality of capital. However, it is expected that this rationale will not be as strong as the above points. Rating agencies will not be a major driver due to the lack of benefit in terms of equity content, notably with S&P. S&P: The standard notching is two notches below the rating of Tier 2 instruments. However, SCOR’s RT1 has been rated only one notch below the Tier 2. According to S&P, the lower notching is warranted by the level and the resilience of the Solvency 2 margin. For now, there is no specific methodology for rating insurance RT1 and the minimum distance to trigger required to achieve such lower notching has not been formalized. At some point S&P may publish a dedicated methodology, as it did for banks AT1. In terms of equity credit, the RT1 qualifies in the intermediate equity content bucket (full inclusion of nominal up to 25% of S&P total adjusted capital), and hence does not bring any additional benefit compared to a 30NC10 Tier 2. Moody’s: Moody’s has developed a dedicated approach to rating such insurance contingent capital securities. Moody’s assesses the probability of the write-down trigger being breached using a model that uses the insurance financial strength rating and the expected solvency ratio as key parameters. The rating output may then be adjusted based on a qualitative assessment. For example, Moody’s rating of SCOR’s RT1 is Baa1, i.e. two notches below the rating of a Tier 2 instrument. The Basket credit granted an RT1 is not discussed in Moody’s criteria. It could be either Basket C or Basket D depending on how the Moody’s criteria table is analyzed. At some point Moody’s may communicate specifically on the Basket credit. Fitch: The notching guidelines are based on a recovery assumption and an assessment of the non-performance risk. For example, the RT1s issued by RSA are rated four notches below its issuer default rating, comprising two notches for a “poor” baseline recovery assumption and two notches for “moderate” non-performance risk. Given that they are non-cumulative perpetual instruments with no step-ups on call dates, the notes are treated as 100% equity both in Fitch’s Prism Factor-Based Model and in its financial debt leverage calculation. However, they are treated as 100% debt in our its total financing and commitments (TFC) ratio, in common with any other debt instrument. In terms of coupon payment, there are no MDA restrictions. In terms of loss absorption, there is no point of non-viability loss absorption in the insurance space. In addition, there is a three month grace period to cure a breach when the margin is between 75% and 100% of the SCR. However, there is currently no full certainty on the minimum write-down amount that will be required (the linear write-down formula proposed by EIOPA has not been formally implemented in the regulation yet). Likewise, there is no formula for the discretionary write-up. This was no real cause for concern for investors as the trigger point is generally assessed as extremely remote.